Dr.Col.(Res.) 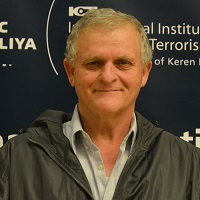 Barak Ben-Zur is an expert in risk and threat analysis, strategic intelligence, Middle Eastern studies and counter-terrorism.. From 1973 to 1996; Dr. Ben-Zur perused a long career in the Israeli Defense Forces (IDF) whilst serving in the military intelligence (AMAN) branch in a variety of positions. He reached the rank of colonel, and from 1991 to 1994 served as the head of the terrorism branch. In 1994, Dr. Barak Ben Zur was appointed chief instructor in Israel's National Security College; a position that he kept for two years. In 1996, Dr. Ben-Zur joined the Israel Security Agency (ISA), and served in a variety of position (including head of various departments and divisions). In 2000, he was appointed as head of the research unit, until 2003 when he became, special assistant to the director. He served as well as a member of the Prime Minister’s steering committee for negotiations with the Palestinians. Following his distinguished career in the IDF and ISA, Dr. Ben Zur was a visiting fellow at the Washington Institute for Near East Policy where he published, among others, “Hizballah’s Global Terror Option” with Christopher Hamilton. Currently, Dr. Ben-Zur is a lecturer at the Lauder School of Government, Diplomacy and Strategy at the Interdisciplinary Center (IDC), Herzliya and at the Department of Political Sciences at the Hebrew University, Jerusalem. He is a Research Associate at the International Institute for Counter-Terrorism (ICT), in which he led various workshop and panel for among other ICT’s prestigious International Annual Conference. In addition to his academic activity, Dr. Ben Zur is a consultant to numerous private and public entities: including the Israeli Ministry of Strategic Affairs and the Israeli National Security Council. Dr. Ben-Zur has a Bachelor of Arts in Middle East Studies and Arabic from Tel Aviv University and a Master of Arts in Political Science from Haifa University. He completed his Ph.D. in the Department of International Relations from Haifa University and is a recipient of the Award of Roizman Prize in Intelligence Studies for his work on the influence of leaders on the performance of the intelligence community. Dr. Ben Zur is fluent in Hebrew, Arabic, English and Romanian. In an exceptional and rather dramatic decision a month ago, an Egyptian court banned all activities of the Muslim Brotherhood and ordered the confiscation of party’s funds. If fully or even partly implemented, this ban will create serious existential challenge for the brotherhood. Their best options at this stage are: firstly, to transform to a completely underground armed group that will fight the military regime trough armed resistance and other violent tactics. Otherwise they can simply comply with regimes’ road map and hope to find a solution at the negotiation table.